Jack Delano has recorded a worker putting the finishing touches on a rebuilt C&NW caboose down at the rip tracks. 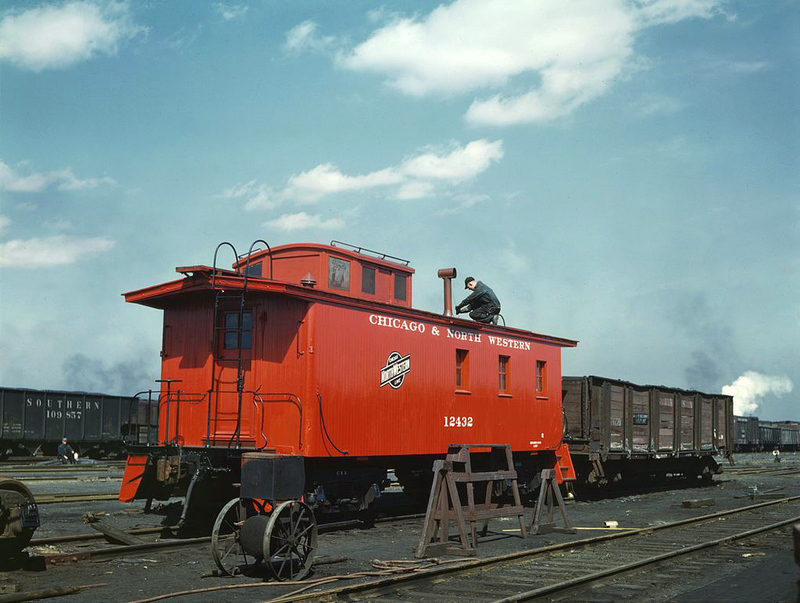 The location is the Proviso yard in Chicago, Illinois, and the time is likely early 1943. Number 12432 has probably never looked better, and I’m sure it’s conductor is ready to move back in!